Looking for deals in Lyon? Hotel ParkSaône is located on the bank of the Saône river in Lyon. Guests can enjoy the on-site restaurant, bar and terrace. Free WiFi is available throughout the property. It was really nice stay. The hotel is new and very clean. We had a family room which consisted of two separate rooms conected with door. There were two bathrooms :) We had also berakfast and parking in the price. And the price was really good for what we get. Beds were very comfortable. Hôtel Vaubecour is located in Lyon. Lyon’s Museum of Fine Arts is 1 mi away and Lyon Perrache Train Station is 131 feet from the hotel. Free WiFi access is available. Lovely small family hotel where you feel at home. Beautiful, clean and modern rooms, comfortable beds. Good breakfasts (surcharge). Very friendly service staff. Great location. 5 stars place! Located a 5-minute walk from the Presqu’île and a 10-minute walk from Place des Terreaux and Opéra de Lyon, Okko Hotels Lyon Pont Lafayette offers air-conditioned accommodations with free WiFi... Staff very friendly. Snacks and drinks available at all times. Breakfast and evening canopes were delicious. Located on Fourvière Hill in Lyon and offering panoramic views over the city, Villa Maïa features an indoor heated swimming pool, a hot tub, a steam room and a fitness room. This was a fantastic experience! Everything was just perfect. The staff, room, location, swimming pool, all perfect. I wished I had stayed longer! Located in Lyon city center, Mi Hotel, Digital Appartement is 0.8 mi from the Museum of Fine Arts of Lyon and 0.9 mi from Basilica of Noter-Dame de Fourviere. The room was large by European standards and done up very aesthetically. It was situated in an old French building with a high ceiling, which added to the sense of space. As it faced the inner courtyard, it was quiet all the time. The staff was very helpful, friendly and helped us out in every possible manner. Located in the south of Lyon on the Rhone River Banks, 656 feet from the A7 and A6 motorway, ibis Lyon Gerland Musée des Confluences features a 24-hour reception, a bar, a restaurant, and private... The rooms were small but clean and comfortable. Near to train station. Located in Lyon, Mama Shelter Lyon offers a 24-hour front desk, a restaurant and suites. Such a funky place. Staff amazing , amazing decor, delicious food!!! Set on the banks of the Saône River, 3.7 mi from Place Bellecour, Hotel Lyon-ouest offers 102 rooms with a restaurant, a bar and a fitness room. Great location near river. Metro station 15 minutes by walk. Delicious breakfast. Featuring a terrace and a bar with panoramic river views, Novotel Lyon Confluence is set in the center of Lyon on the banks of the Saône River. A Vaporetto Station is located just outside the hotel. There are so many good things to mention. Located in the business district of Lyon, 328 feet from Gare de Part-Dieu TGV Train station, Mercure Lyon Center Gare Part Dieu offers free Wi-Fi access. I liked everything and I will come back to stay here again if I went to Lyon. Set in the 3rd district in central Lyon, this nonsmoking hotel offers soundproofed guest rooms with a flat-screen TV. Part-Dieu Train Station is a 2-minute walk from the hotel. Staff friendly and helpful. Room well equipped. Bed good. Close to the station. Set in a historical building, with original features, Hôtel Silky by HappyCulture offers accommodations with free WiFi in the heart of Lyon. Super clean room, very friendly staff. And so Lyonnais!!! Great location too! Located in the Gorge de Loup business area, Best Western Saphir Lyon is 1148 feet from Gorge de Loup Metro Station and just one stop from Vieux Lyon. The staff were very friendly and helpful. Great service and clean hotel. It met the needs. Offering a restaurant and bar, ibis Styles Lyon Confluence is a hotel located in Lyon, a 20-minute walk from Center Presqu'ÃÂ®le and 492 feet from the nearest tram stop. Friendly staff, quick check in, supercomfortable beds! The room was nice and spotlessly clean. Located in the heart of Lyon, on the Presqu’île District, Republik Hotel offers accommodations with a 24-hour reception and free WiFi. Everything. Great location and modern. Located on Lyon Presqu'ile, in the city center, ibis Lyon Center Perrache is a hotel set in an art-deco style building. It is located a 5-minute walk from Place Bellecour and features an onsite bar. Great staff!! Excellent service! Clean and pretty hotel and room. Set in central Lyon, ibis Lyon Gare Part Dieu is only 656 feet from Part Dieu shopping center and 1.2 mi from Tête d'Or Park. We were there to catch a train the next morning and the hotel was right near the train station. Located in Old Lyon, a 4-minute walk from Saint-Jean-Baptiste Cathedral, Cour des Loges provides accommodations with free WiFi throughout. Room was immaculate and large and it was in a great area of the city. Located in central Lyon, in a 19th century building, this Mercure hotel is a 8-minute walk from Lyon old town and a 5-minute walk from Bellecour Square. The view from our room was lovely. Located in Lyon, Hotel Saint Vincent offers accommodations a 10-minute walk from Lyon National Opera. Free WiFi is available throughout the property. Staff and location , super clean and comfortable, nice building! Located in the historic center of Lyon, in a building dating from 19th century next to Place Carnot, Hotelo hotel offers accommodations with free WiFi and a 24-hour front desk. The location, staff, cleanliness and breakfast were exceptional. Center Jean Bosco is located in Lyon. This hotel is part of Jean Bosco Catholic Institute. Free WiFi access is available. It is a 10-minute walk from Vieux Lyon Metro Station. Organized. Gave us transit information without prompting. Very clean and new. Friendly and helpful? How much does it cost to stay in a hotel in Lyon? On average, 3-star hotels in Lyon cost $92 per night, and 4-star hotels in Lyon are $137 per night. If you're looking for something really special, a 5-star hotel in Lyon can be found for $289 per night, on average (based on Booking.com prices). How much is a hotel in Lyon for this weekend? The average price per night for a 3-star hotel in Lyon this weekend is $166 or, for a 4-star hotel, $257. Looking for something even fancier? 5-star hotels in Lyon for this weekend cost around $702 per night, on average (based on Booking.com prices). 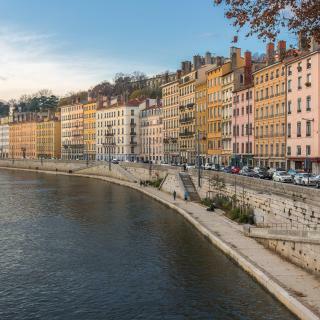 What are the best hotels in Lyon near The Presqu'ile? Some of the best hotels in Lyon near The Presqu'ile include Une nuit au second, Appartement de luxe Place Bellecour and Cosy apartment ideally located in the Old Town. How much is a hotel in Lyon for tonight? On average, it costs $98 per night to book a 3-star hotel in Lyon for tonight. You'll pay around $134 if you choose to stay in a 4-star hotel tonight, while a 5-star hotel in Lyon will cost around $277, on average (based on Booking.com prices). Which hotels in Lyon are good for couples? These hotels in Lyon are highly rated by couples: Villa Maïa, Okko Hotels Lyon Pont Lafayette, and MiHotel Gailleton. Which hotels are the best ones to stay at in Lyon? Hotel ParkSaône, Hôtel Vaubecour, and Okko Hotels Lyon Pont Lafayette are some of the popular hotels in Lyon. Which hotels in Lyon have nice views? Radisson Blu Hotel, Lyon, Villa Maïa, and Villa Florentine got great room view-related reviews from travelers in Lyon. Which neighborhood is the best one to stay at in Lyon? 9th arr., 8th arr., and 7th arr. are popular with other travelers visiting Lyon. Which hotels in Lyon are good for families? 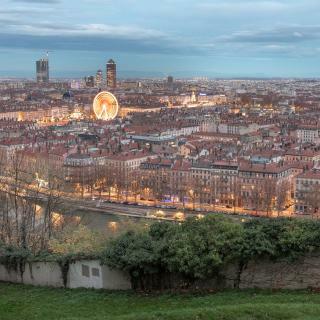 Many families visiting Lyon loved staying at MiHotel Bellecour, Villa Maïa, and Hotel ParkSaône. Which hotels in Lyon offer an especially good breakfast? For hotels in Lyon that serve highly-rated breakfasts, try Cour des Loges, Villa Florentine, and Mama Shelter Lyon. What are the best hotels in Lyon near Saint Exupery Airport? Travelers who stayed in Lyon near Saint Exupery Airport (LYS) have said good things about NH Lyon Airport, Comfort Hotel Aeroport Lyon St Exupery, and ibis budget Aéroport Lyon Saint Exupéry. Lyon is a gastronomic center with a pretty architectural facade ranging from antiquity to modern day. Place Bellecour is centrally located between the Saône and Rhône Rivers in the 2nd arrondissement and opens out into major shopping streets. 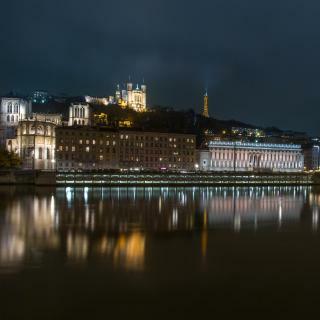 On the banks of the Saône lies the district of Vieux Lyon, a great example of the Renaissance and full of museums such as the Lyon History Museum. Winding your way through the beautiful streets you can make your way up to the spectacular white-stone Basilica of Notre-Dame de Fourvière and look down over the city. 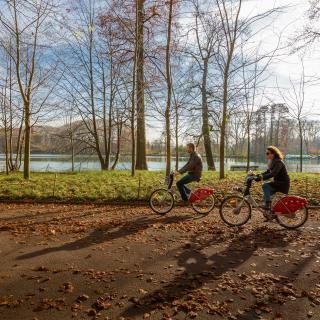 There is a lot going on in the main park of Lyon, Parc de la Tête d'Or, which is home to a zoo of exotic animals as well as various sports facilities and a large lake for boating. Boats of a different description are docked on the banks of the Rhône River; they host parties late into the night. 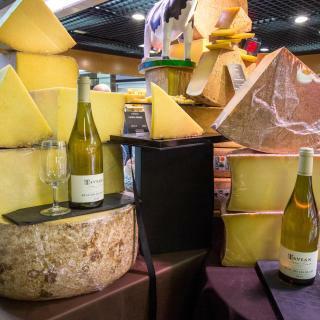 For a taste of tradition, Lyon’s famous bistros, or Bouchons Lyonnais, provide a cozy atmosphere for some of the best in French gastronomy. Plan your perfect holiday in one of Booking.com’s 130+ hotels, apartments or guest houses. Lyon is very nice. I think Paris overshadowed the beauty of Lyon. Nice views and historic buildings. One little problem is that the citizens party too much and make so much noise at night until 8 am. Screams and exotic cars in the city center streets all night every night. Better to book a hotel a little bit away from city center to have a good quiet sleep and enjoy the trip. Hotel was absolutely amazing nestled on Fourviere Hill. Hotel was absolutely amazing nestled on Fourviere Hill. The check-in area used to be church and hotel was a convent. Walking distance to Basilica Notre Dame Fourviere and to the Furnicular which gets you to down to the city center in just minutes. Breakfast was nice and bright with court view. 5 star service and friendly staff! Will definitely be back! Good place to tour the old town within 2 days. But, it is hard to find the appropriate place to park car if you make a reservation of your hotel in the center of downtown. And, Lyon bouchen was a little wired due to the mismatch of my expectation and the different taste style. Vieux Lyon, the Medieval section of town is charming. Vieux Lyon, the Medieval section of town is charming. The Basilica of Notre Dame Fouviere is beautiful and offers a wonderful view of the city from its high location. The Presqu'ile between the two rivers, where the hotel is located, has lots of shops and restaurants and the large Place de Bellencour. Lyon is a wonderful city, be prepared to walk around to see some wonderful sights. The food is also excellent & atmosphere is brilliant. A superb place to visit at Christmas. I'd avoid the hotel I was staying at, it wasn't good value for money & shouldn't really be called a hotel as there was no hotel facilities. Plenty of other places to stay though. Very simple little hotel, but good location. We only stayed to sleep for one night on our way to the south of France, but were not disappointed. We booked a no-shower room, but got one with a shower for no extra costs, because it was vacant that night. The receptionist was friendly, the room was clean and they accepted our little dog. Simple, but all we needed for a quick overnight stay. Loved the staff and location of this cute hotel. The price was also good as was the breakfast they serve. The city of Lyon is one of the best in Paris in my opinion and should definitely be on your list. The rooms are the typical smaller European style rooms but the windows are soundproof and the bed was comfortable. There is a tiny lift if you don't want to take the stairs. 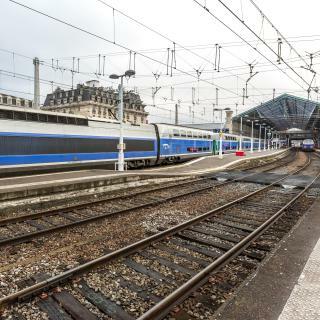 The hotel is located near the metro station PERRACHE, which goes through the entire middle section of lyon and ends at a station that gives access to the airport train (rhone express). Very kind, good english at front desk. Nearby is a really yummy indian Restaurant SHALIMAR. Lot of other Restaurants (breakfast/dinner) located in RUE VICTOR HUGO. Unusual place to stay -rather wacky decor. The lady owner is charming & was most helpful when we needed food & wine & didn’t want to drive on into Lyon centre after our long trip across France. She ordered us a pizza & wine delivery locally & we ate in her little garden, just hit the spot! The property was within easy access of Gare de Lyon Part Dieu. 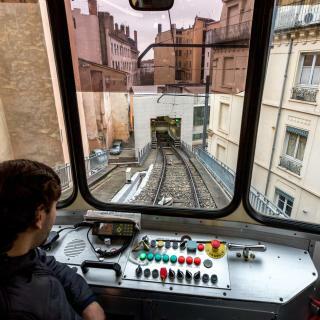 It also has good access to the tram system in Lyon. It is very secure, safe, & clean property. It has great Wi-Fi reception. I highly recommend ‘at home in Lyon for the solo traveler or a couple visiting the city of Lyon, France. Excellent location, a few mts. from Lyon Part Dieu, (city’s main train station) and the big Shopping Center with supermarket in case you need to buy some last minute things. The train Rhone Express that goes straight to the airport stops in front of the hotel which is a super plus. Personal was very friendly !!! Comfortable family room!! Ideal for one night in our way to south of France and for our return was also perfect !!! The bus is around the corner and bring you to the city center. Perfect apartment with kitchen refrigerator, oven !! 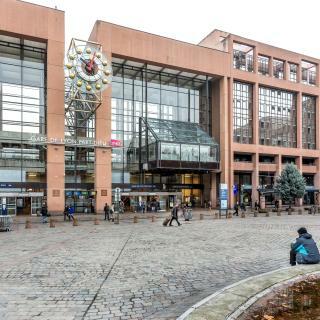 It was next to the station Lyon Perrache from where you can reach the main shopping street as well as the old town by foot (5-10min to Bellecour, 20-30min to Vieux Lyon). The room was clean, cozy and quiet. We really enjoyed our stay at the Kyriad Hotel. This hotel is bang next to the Lyon perrache station and you can easily get a tram bus or train in 2 mins. They also got supermarket and restaurants near by. The hotel is clean and neat and the staff are very helpful and kind especially Mr. Alladin. Location and cleanliness. The rooms are big for France and if you want to rent a car the parking building is almost in front. They printed my train tickets and the fresh orange juice was tasty. Great location for travelling down to the south of France. Only a 20 min underground journey to the city and just off the motorway. Room is big enough for the family with kids. Located in quiet neighborhood. Parc and Lyon zoo is not far from hotel.